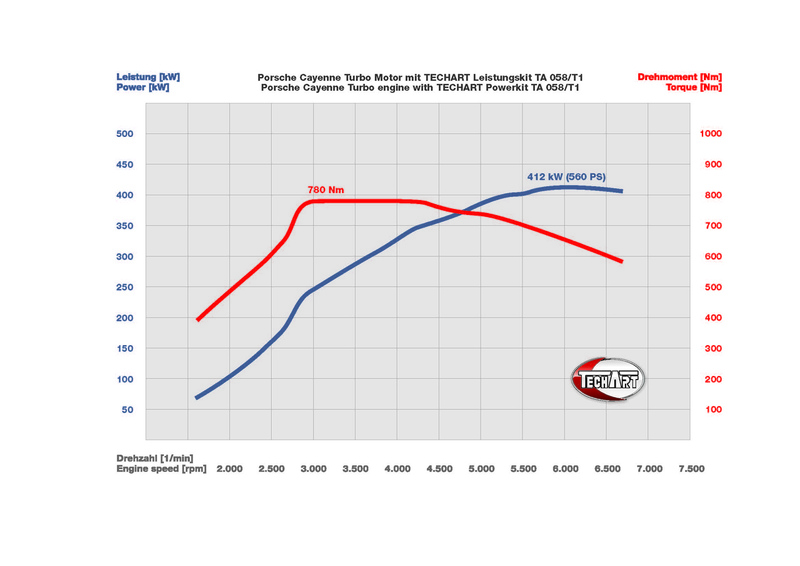 Techart is an established German tuner and even though they decided to come up with a new tuning package for the Porsche Cayenne Turbo they are aware of its problem. And by problem I mean the almost sickening exterior looks of the Porsche SUV to the point it’s now called a Magnum. Unlike most tuning companies which are proud about their achievements and then decide to showcase the look of what they came up with no matter how ugly it is. 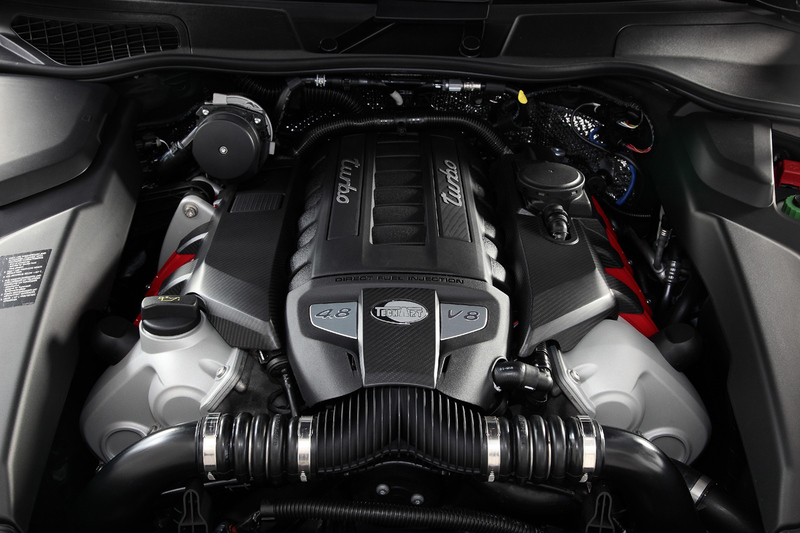 Techart realized they still need to show us an image of the new car but apart from that single shot, the press release has images of the engine bay and the horsepower and torque curves. Pretty neat idea I’d say. 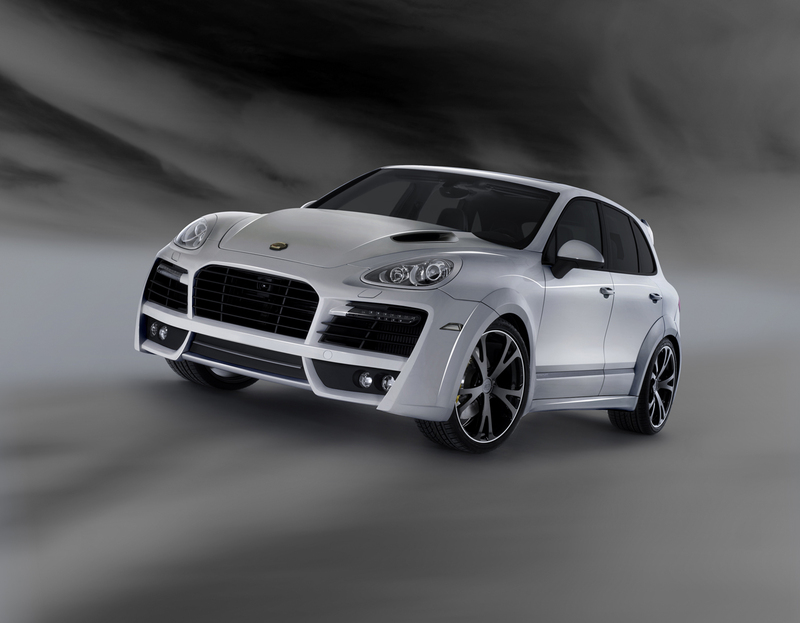 The Porsche Cayenne Turbo does get a body kit but the most important changes are done to the engine. This is where TechArt’s TA 058/T1 Power Kit comes in and it takes 4.8 liter V8’s output up to 560 horsepower (60 more than the original) and 575 lb-ft of torque (a jump of 59). What I find weird is how Techart not only had the courage to reveal the exterior of the new Magnum Porsche Cayenne Turbo in a photo but how they also plan to take it to the Geneva Motor Show.